I have the hardest time keeping up with the News. There are so many sources and so much information, like ALL the time. Luckily, a little gem called The Skimm came into my life. 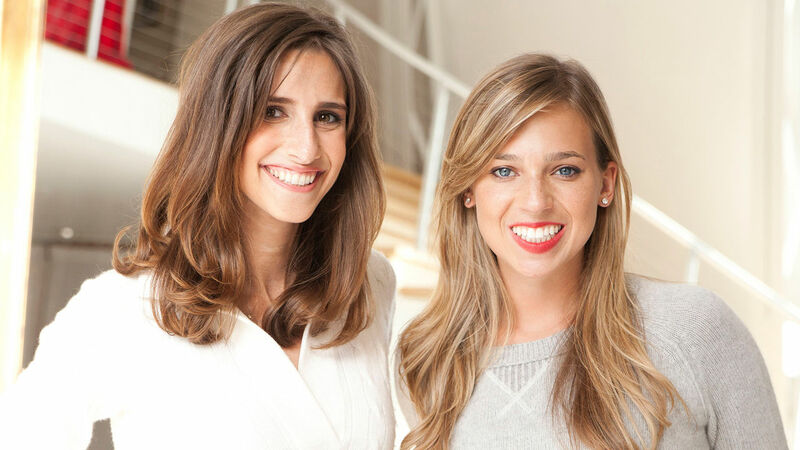 The Skimm was created by two news media veterans, Danielle Weisberg and Carly Zakin. Seriously, The Skimm is amazing. All you have to do is sign up with your email and a daily newsletter is sent right to your inbox. And the best part? It only takes around two minutes to read the whole newsletter and it covers a little bit about everything that is going on around the world. 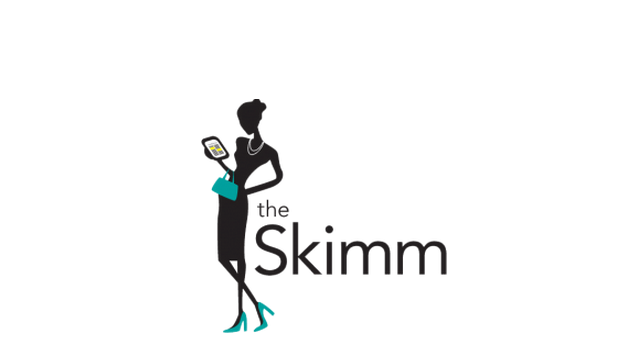 What sets The Skimm apart? Voice and legibility. Zakin and Weisberg started The Skimm with an audience of young, educated females in mind and created a unique voice and format to speak to it. The newsletter takes news and breaks it into small bites with snappy section headings, quite often referencing pop culture and the Kardashian family mishaps. In the end, you get what you need to know, without having to read multiple sources and slogging through thousands of words. Just think: CNN meets The E! Channel meets Mean Girls, and you have The Skimm. The Newsletter covers everything from The World Series, to the latest ISIS happenings, to the see-through Lululemon leggings scandal. It turns out, The Skimm has reached far larger audiences than ever hoped. Everyone from college students, to CEOs, to stay at home moms have become fans of this news source. Even men too… My husband even told me his Goldman Sachs manager faithfully reads The Skimm every morning! Congrats to the founders, Zakin and Weisberg for recently being named on Forbes’ recent “30 Under 30” most influential people right now. Take my word for it and go sign up! President Obama and Mr. Netanyahu have had differing opinions on the relationship with Iran and this speech only widens the ideological gap. Speaker John Boehner invited Mr. Netanyahu without the permission of the Obama administration, which they claim is a breach of protocol. Personally I see no issue with Speaker Boehner inviting a special guest as Congress and the White House don’t report to each other. Partisan values have made this a grudge match, but the House may act in its own accords and wishes. Is ISIS making nations more unified? It is difficult to imagine the fear that must possess all those people taken hostage by ISIS. One source from this article estimated that 60 women and children and 90 men were taken, perhaps as a means of ransoming for ISIS soldiers. This action confirms that this terrorist group will use any means necessary to accomplish their designs and that they don’t shy away from using women and children as a means to gain power. One item from this article that struck my curiosity was that estimates for the number of hostages ranged from several dozen to over 100. That seems like quite a broad span and I wonder why it is not more precise. One thing that is clear however is that more countries are becoming involved in the fighting since the attacks on the Yazidis last summer. It is comforting that despite differences in beliefs, culture, etc., people are uniting to combat this evil that has done so much damage already. One official for the Kurdish Democratic Union stated that this involvement was, ‘a good sign of stronger ties between the Kurds, the Arabs and the Christians” against the Islamic State. While the actions of ISIS are horrendous and tragic, perhaps a desire to fight against them has improved relationships between nations more than they ever could have alone. Hopefully when the fighting is over those ties will remain strong and countries everywhere will be improved by them. This article caused me to consider the use of symbols and what a powerful effect they have on uniting people to a common cause. It is interesting that ISIS is forcing churches to take down crosses in various villages. It seems they are striving to strike at an emblem that binds many of their enemies together. This caused me to ask, ‘What is the symbol of ISIS?’. Apparently the flag of ISIS reads, ‘There is no God but God’, and then ‘Allah, prophet, Mohamed’. When I see their flag I think of distorted thinking, mindless killing, and unfeeling hearts. Black is a fitting color for this bunch. On page C1 of Monday February 23, 2015 the Wall Street Journal describes how Walmart is raising wages for their employees. Walmart employs hundreds of thousands of people, and this wage hike would affect 500,000 employees and cost Walmart shareholders $1 billion annually. Considering Walmart’s net income last year was about $16 billion, this won’t hurt the company’s bottom line too much. The stock is relatively flat after the news, so shareholders don’t seemed to be worried at all. This morning TJ Maxx and Marshals announced that they would follow suit, and there are reports that McDonalds is mulling wage hikes as well, so this might be a good trend for low paying jobs going forward. France, as well and much of Europe has had their fair share of terrorist attacks over the last couple of years that have kept them defensive and worried about possible future attacks in their countries. Just this week a couple of drones were spotted flying over and around the Eiffel Tower and around the U.S. embassy building. Police are still investigating the source of these drones and wondering why they were flown illegally through restricted airspace. In order to legally fly a drone in these areas, an individual would typically have to receive permission from the French government. …drones were spotted flying over and around the Eiffel Tower and around the U.S. embassy building. France also has more reason to fear because of other drones that have been spotted flying around their nuclear plants and facilities during the last month. 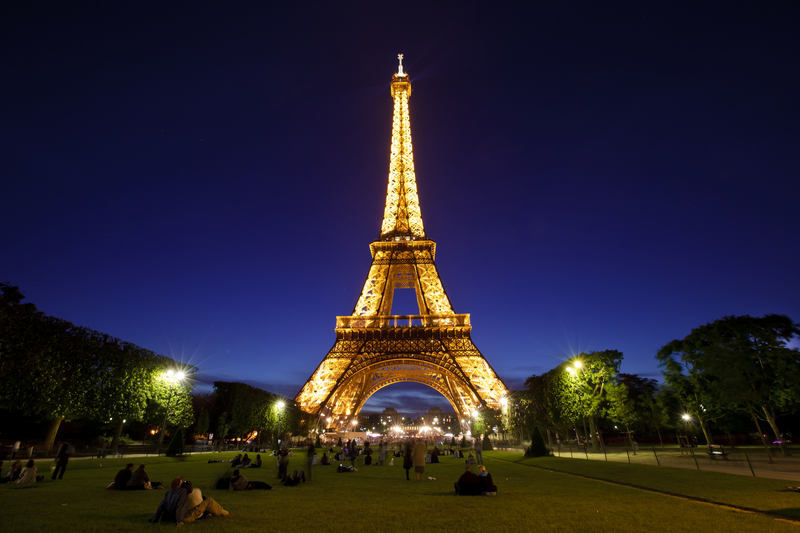 Though having a drone fly around the Eiffel Tower may have been harmless, these other drones show signs of terroristic planning and more has been invested into the investigation of these drones because of recent scares. Even the United States has worried about drones and the privacy that its facilities have as a drone was flown down by the Whitehouse and could see the actions of the President Obama and his family. These occurrences beg the questions, should something be done to regulate drone usage? How are current laws being enforced about privacy and drone flights? How can drones be tracked better to ensure that terrorists are not using them? The pigmen weren’t detailed enough. Mr Routh indeed suffered from the mental disorders PTSD and psychosis. However, psychiatrists did not believe he was delusional from schizophrenia, a diagnosis that would placate the pleading of insanity. They stated his lack of detail as reasoning for denying a diagnosis of schizophrenia. Rather, they found he was a troubled person with excessive illegal drug use and therefore he was found criminally liable. So did Mr Routh conjure up the delusions of pig people in his sessions with the psychiatrists as a means of escaping punishment for his crimes? I don’t know, but it is something that has been done before and failed miserably. Mental disease is rather hard to imitate for extended periods of time and it took two years to get to the trial of mr Routh. In that time I assume he learned more about schizophrenia and the clinical presentation, but he misunderstood how schizophrenia works on the mind. I believe he emulated what he thought would get him out of trouble. The thing about schizophrenia is that the story told is entire reality to the person. Unmedicated, the delusions are not delusions but reality and the patient lives in them. Its not something that comes and goes, but is always there, not a dream where details can be fuzzy. 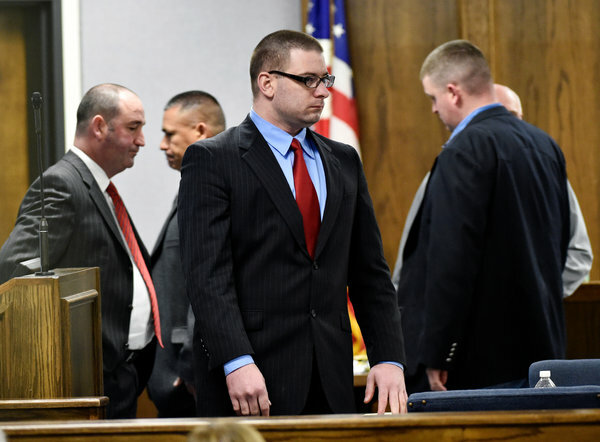 Psychiatrists cite Mr Routh’s lack of detail and detachment from the delusions as their basis for lack of diagnosis. Hence, his misunderstanding of the disease ultimately led to his conviction as a sane murderer. As intriguing as this story is, it unfolds an opportunity for us to become more educated about mental disorders and to develop more compassion for those that suffer from them. Check out the NAMI website to learn more about these diseases and how you can help. After much debate over how to regulate the Internet, President Obama and many net activists like the oatmeal, the F.C.C. declared that the internet is a public utility prohibiting use of fast lanes. This has been a very long and heated debate. The idea behind net neutrality is that some companies think that introducing new fast lanes that come with a premium and slowing down those that are “basic” with no or minimal fee. During the past years there have come to light different cable and internet provider companies that bully not only their clients but other companies. For example Comcast vs. Netflix. Comcast wanted a premium from Netflix because so many people were using their bandwidth. So Comcast slowed down Netflix to a crawl and Netflix had to pay up. The internet is a place where new information and technologies are created. A place where information runs because is not controlled by a government, except for China and North Korea, but look at how great it is going for them. Congratulations, You Have Been Accepted. . . JK. Imagine you are applying for graduate schools. You prepare for years, making sure your G.P.A. is on point, you work hard to build a good resume and you volunteer extensively to make sure you stand out from the crowd. You submit your perfectly structured essays (designed to touch your heart while stimulating your mind) and off go your applications. Now all you can do is anxiously wait for responses, the responses that hold the rest of your future in their hands. You finally get a reply; you have been accepted to one of the top schools in the country! You are ecstatic and quickly call your mom and significant other to tell them the good news. You even being to look for apartments. A few days later you received a frightful email, you were accepted in error! You were actually rejected. Your life, hopes and dreams shatter instantly and you are left in a puddle of tears. Does this seem a little outrageous? Well this is exactly what happened to 800 Carnegie Mellon hopefuls. The university sent out 800 accidental acceptance letters to people who were not in fact accepted. After realizing the scope of their error they retracted the acceptances and informed the hopefuls that they were indeed rejected. Now should a school renowned for it’s amazing technology have had such a foolish technological error? What do you think the school should have done? Should they have upheld their acceptances or maybe they should have avoided the error to begin with. What is the Appeal of ISIS Propaganda? In this New York Times article, Aqsa Mahmood is described as a typical European teenager who “listened to Coldplay, read Harry Potter,” and took part in traditional Scottish life. Aqsa is another woman who left her home and family in Europe to travel to the Middle East and join ISIS. Aqsa’s family claims that they did not foresee her radicalization. Aqsa has supposedly married a jihadist and is believed to have a link to the three teenagers who are believed to have left London to travel to ISIS territory. Three London school girls who are believed to have traveled to Turkey to cross the border into ISIS territory. There are many Muslims around the world standing up and saying that ISIS does not represent Islam. Why then are these girls leaving their families to join the Islamic extremist group? It seems as if it is other women who do the recruiting that attracts these girls. ISIS propaganda is effective because it advertises the ideologies of the idea of the Islamic state as well as promotes the regions within their control as providing stability, even if they do not. There are people in parts of the Middle East that this sounds appealing to because it is advertised as providing a more stable infrastructure than what they are living in. Why do these young women from more stable parts of the world leave everything behind? Is ISIS the epitomization of Islam to them while it is not to most Muslims? Is it possibly related to teenager backlash? The trend of recruitment from Europe appears to be that younger Muslims are aligning themselves with ISIS. This may be due to the different trends of assimilation in first, second, and third generation immigrants. 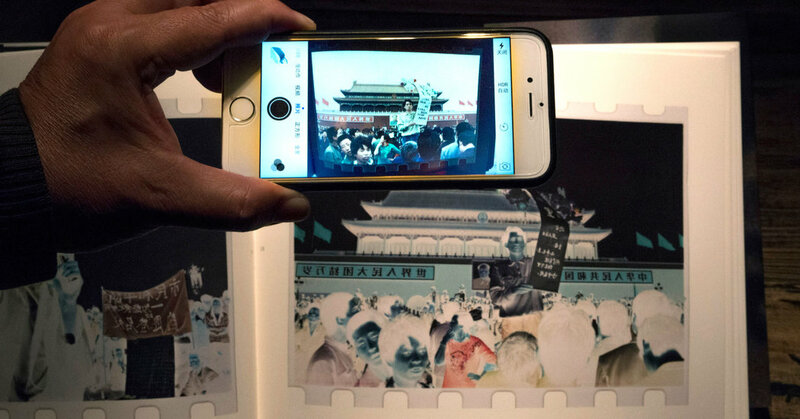 In what was considered a bold and risky move for this Chinese photographer, Xu Yong recently published an “art book” containing a plethora of fascinating snapshots that could have serious political repercussions. 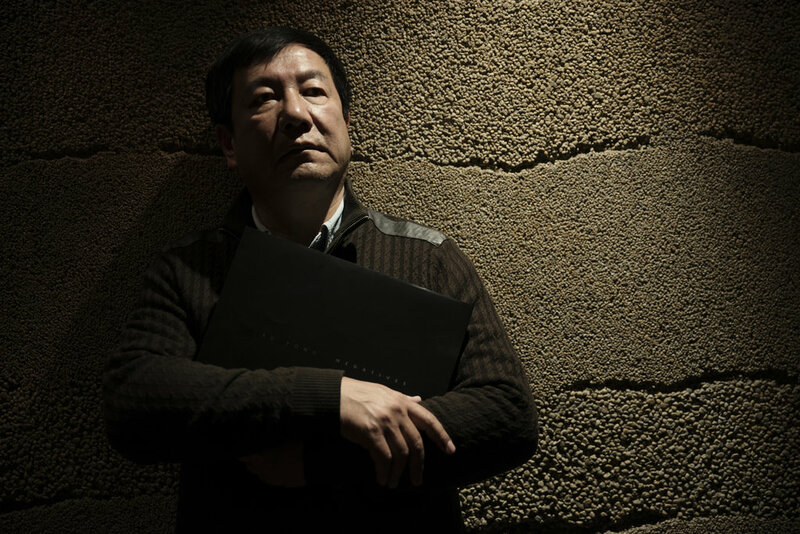 Though they are images of Chinese youth in Tiananmen Square demanding democracy and condemning the Communist party, Mr. Xu has “no interest in discussing what they mean”–a wise choice considering that dozens of “percieved ideological foes” to the Communist party have been silenced in prison. 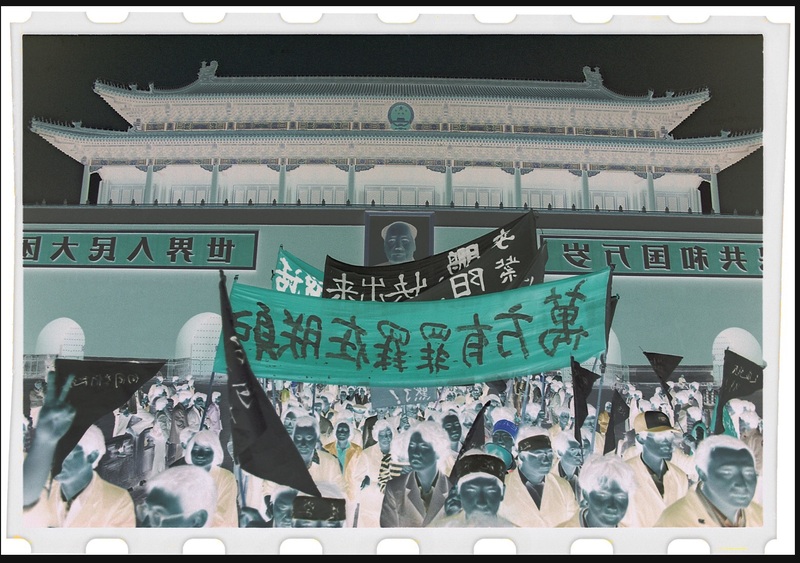 The 64 photographs (the 64 being a sly reference to the censor-avoiding numeric many Chinese use to refer to the June 4 crackdown) were taken in the spring of 1989 after Mr. Xu sensed the critical moment approaching. He spent every day in and around Tiananmen Square snapping pictures that reveal the “determined hunger strikers and frightened young soldiers” in haunting black and white. Here’s the reality that no one looks at squarely but that everyone knows is there. Is it worth the risk to show the world the reality of the Tiananmen Square youth? The last photo in the book only hints at the tragedy about to be played out–a blurry image of a tank, barely there, only a negative.